Do you know where you are going in life—what direction, or life paths, you are following and where these life paths are taking you? 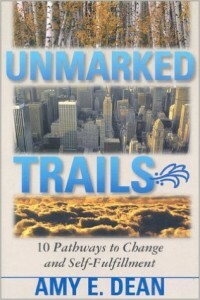 Unmarked Trails is a guidebook to exploring 10 challenging unmarked trails. Take your time as you travel along these paths while enjoying and learning from the experience. Find your senses slowly opening up in a way they have never done before. Watch your life come into focus as you become aware of how intensely alive your mind, body, and the world around you can be. 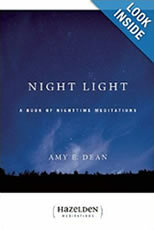 Each of the 366 nighttime meditations offers practical ideas as well as reminds you of the marvelous tools you have within yourself to change your way of thinking so you can increase your peace of mind and gently ease into a relaxed, peaceful, and accepting state of mind at bedtime. When facing demands at work, dealing with emotional situations at home, or struggling with a relationship, stressful thoughts and feelings can be overwhelming and may cause stress-related physical or emotional problems. 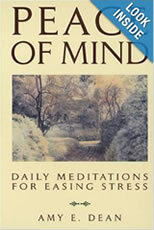 This book will help readers identify the source of their stress and offers techniques to reduce the unhealthy tension, anger, frustration, negativity, or fear that result. Topics include the pressure to achieve, the impact of the past, setting goals, identifying burnout, raising healthy children, coping with death, dealing with finances, and managing time. These supportive meditations—each with an inspirational quote, reflective essay, and positive affirmation—will help the reader tap into the calm, positive person within to achieve relaxation, improved health, and self-satisfaction. There can be a “happily ever after” in our lives, even for those of us raised in an alcoholic home. In this book, 20 adult children share their stories, revealing the problems they needed to overcome in order to find a bright future filled with freedom from their past. This meditation classic gives us a serene, reassuring thought as we end our day and face the night—or as we face a dark moment in the course of our day. The book’s quotations, reflections, and simple prayers ease the loneliness, fear, and anxiety that can burden our nights so we can wake up and meet each new day refreshed and inspired. In this insightful collection, quotations from Alice Walker, Will Rogers, Gertrude Stein, Carlos Castaneda, George Eliot, Dorothy Parker, and many others introduce thoughtful meditations on balance, self-esteem, relationships, independence, and more. These wise reflections provide enduring reassurance and strength for every day and night of the year. 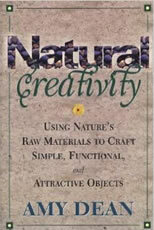 This book will interest craftspeople and artists of all ages and can be used to promote family projects. 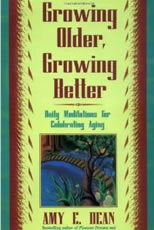 It teaches how to rediscover awareness, appreciation, and reverence for every little thing in life. In addition, the book raises awareness about America’s early settlers with tales and information that lead to the enjoyment of traditional American crafts. Nature has always been and will continue to be the living source of everything you are; the integral element needed to ensure your survival. Whatever is not needed, nature transforms into something that contributes to ongoing life in meaningful ways. When it is honored and respected and protected, nature takes care of you and of itself. 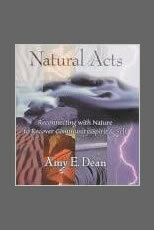 You can reconnect with the natural world when you heighten your awareness of your relationship with nature through understanding that, in reconnecting with nature in any one or more of the 10 ways presented in this book, you reform the community in which you live in positive ways. Discover the profound eco-spiritual connection that surrounds you. 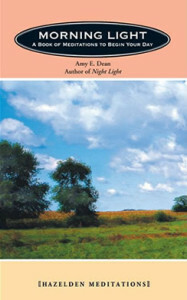 Morning Light–a new companion book to Amy Dean’s best-selling Night Light–has daily entries of inspiration that will help readers begin each day with renewed self-confidence and serenity. If you grew up with mixed messages, inconsistent behaviors, and unhealthy emotional responses, then chances are you’ll find yourself in similar relationships as an adult. 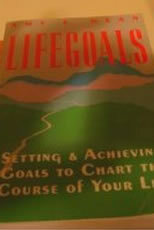 Lifegoals helps you take control of many areas of your life—self-esteem, health and fitness, relationships, communication, career/lifework, finances, life crises, and your connection to the spiritual world—so you can determine where you’re going, how to get there, when you’ll get there, and what you want to do when you arrive. 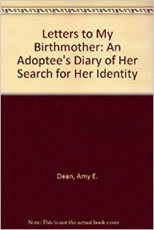 This unsent, one-sided correspondence was written by Massachusetts resident Dean (Night Light), an adoptee and former foster child, at age 31 after she decided to seek her natural mother, and records her brief search for, reunion and unrewarding relationship with “Ruth.” Included is an account of the author’s childhood, which was marred by the loving, adoptive father’s divorce from his alcoholic wife. Dean poignantly conveys the suspense waiting for Ruth’s first call, their meeting and her tentative queries about her birth and background. She found that, aside from a milk allergy, she and the woman had little in common, and concludes that while some questions of her past have been answered, their blood bond is not as strong as emotional attachments she has with other people. A book for anyone over 50 years old who is convinced that the decades after the forties can be rich and fulfilling—a time in which to celebrate the potentials and possibilities in the second half of life. 366 daily thoughts, reflections, and meditations help you see that by freeing yourself of the myths and stereotypes connected to aging, you can be a productive, energetic, sexual, creative, and joyous member of the population of social pioneers who not only welcome growing older, but who grow better in the process. 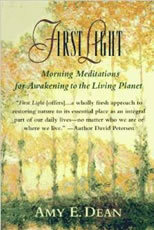 First Light offers a wholly fresh approach to restoring nature to its essential place as an integral part of our daily lives, no matter who we are or where we live. The meditations collected in this special volume celebrate the glory of nature—from the salty waves that lap the shores to the gentle breezes that tickle our noses at dawn—and help us begin each morning with the hope and brightness that each day deserves. 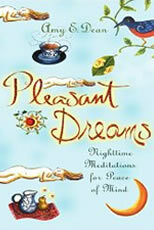 At last a book that meets the needs and provides an underlying hand to lift a depressive up. In the literary world the topic of depression is often overlooked or ignored. 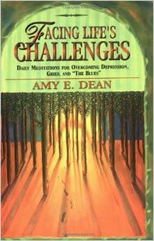 It is refreshing to find a book that not only acknowledges the existence of depression but addresses the problems and struggles faced by everyone enduring depression and their support system. 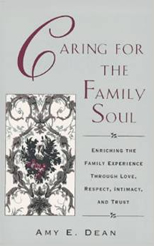 A book for the contemporary family on establishing meaningful traditions, trust, and intimacy, for the traditional nuclear family, the single-parent household, or gay or lesbian families. Whatever the values, whatever the definition of “family,” this book examines spiritual wellness within a constantly shifting world. ©2015 Amy E. Dean. All Rights Reserved.